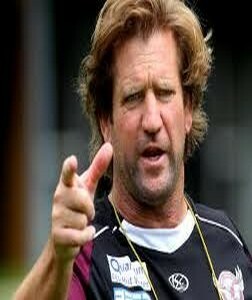 51 year old Des Hasler is a professional rugby coach for the Canterbury-Bankstown Bulldogs team in the National Rugby League competition played in Australia. He is highly experienced as a player with more than 300 games under his name spreading over 16 years. Before joining the Canterbury Bulldogs team as their coach in the year 2012, he was with the Manly-Warringah Sea Eagles team as their head coach between the year 2004 and 2011. While he has been the coach of the Canterbury Bulldogs team, he has won 20 games out of the total 27 his team has played under him. As a player, he represented 3 teams, viz, Penrith Panthers, Manly-Warringah Sea Eagles and the Western Suburbs Magpies team. He was also named the National Rugby League coach of the year in 2012. This entry was posted in NRL and tagged Canterbury-Bankstown Bulldogs, Des Hasler. Bookmark the permalink.